Keep calm and eat bacon. Words to live by. It's a simple motto to keep in mind when life gets hectic. No matter how awful your day was, bacon's there to calm you down and cheer you up with its salty, crispy goodness. 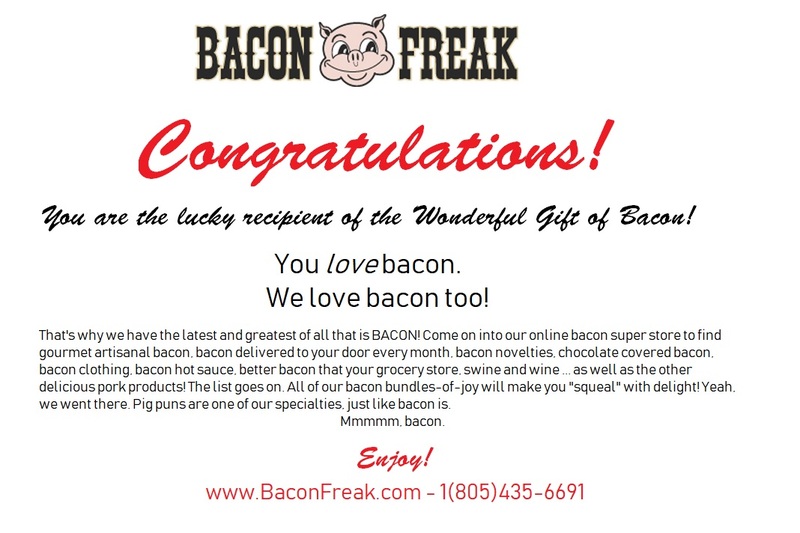 Decorate your home, dorm room, garage or office with this fun poster that makes a fun gift for a bacon fan. This poster measures 24" x 36".